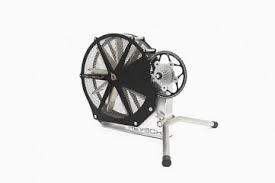 We have a number of REVBOX training ergs available for use for any cycling, triathlon or multi-sport athlete. These are suitable for mountain, road or time trial bikes. ​The Revbox has the added benefit of being a power meter, you can download an app to your phone and see your power in real time. This allows us to do individual tests and have individualised power goals for each session. Book your spot now and for $15 come and enjoy the warmth and company of others suffering alongside you. I promise you will feel the benefits! If you haven't used a Revbox erg then they are an outstanding erg that simulates as close as possible riding on the road but removes the head wind, corners, traffic lights and wayward motorists that can impact on your training session. If you want to add some specific intensity work into your cycle training or want to train indoors on wet days then we have ergs for hire. All you have to do is book an erg, bring your own bike down, hook it up and go for it. We do have two Spin bikes for use as well if you don't want to bring your own bike. Cost for all ERG sessions is $15. Hireage for the ERGs is $10 per session. We will look to add ERG classes according to demand so let us know if there are times that would suit you.